THE YOUBIBLE APP IS FOR IPHONE AND IPAD TABLETS FOR IOS 7 AND HIGHER. YOUBIBLE APP IS A QUICK DOWNLOAD, ABOUT 10 TO 15 MINUTES WITH GOOD CONNECTION. ENTIRE APP WITH AUDIO IS DOWNLOADED, YOU DON'T NEED AN INTERNET CONNECTION FOR AUDIO. CHECK YOUR DEVICE TO MAKE SURE YOU HAVE THE LATEST SOFTWARE UPGRADE. We recommend that you create an iCloud account and save your app DATA. We have gotten emails from users telling us something happened and they lost all their data. You Bible is a Bimodal presentation of the King James Bible, with Text and audio Synced together. It includes the complete Old Testament and New Testaments and is masterfully and majestically narrated by Alexander Scourby; “the greatest voice ever recorded” – Chicago Tribune. Watch our promotional video and see if you agree. https://www.youtube.com/watch?v=QbitSWO8IV4 YouBible is your perfect Bible companion and caters to the user with functional, friendly and easy to use features, some of which are Patent Pending. YouBible App is resolutely designed and fastidiously fashioned. 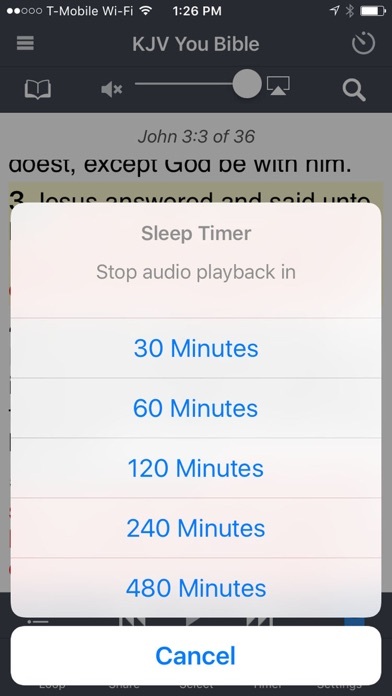 It’s not just an APP that’s technically possible, but one that’s functionally useful; helping users to redeem their Bible Study time in a new, convenient and efficient interface. YouBible App includes many useful features (see below) and we also have mp3 AUDIO Bible downloads on our web site for laptops and mp3 players. These are self contained on your device and you need no internet connection to play them. So what Bible app is in your pocket. Features: * Narrated by Alexander Scourby the Voice of the Bible. * 70+ Hours of Audio. * New Easy to Navigate Hamburger Menu, Clean, Distraction Free Interface. * Listen and Read at Same Time with Verse Highlighted. 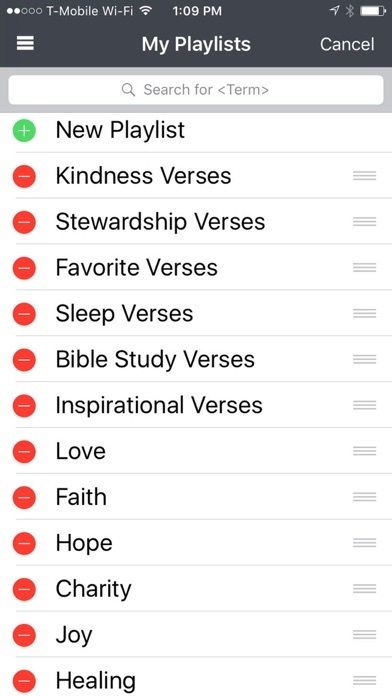 * Build Your Own Playlists of Bible verses! * Bible Reading Plans * Share Verses with Friends, Email, Text Twitter or FaceBook it. * Share verse of the day. * Look up by Word or Chapter, Book and Verse in seconds. * Sleep Timer. * Repeat Button for Verse Memorization * History of What You Have Been. * Volume Control, Stop Start and Mute Button * Day and Night Mode. * Jesus Words in Red * Settings for Font Size and Type, Set Reading Plan Time, * Help Menu for all Features * Videos, Maps and More "Blessed is he that readeth, and they that hear the words of this prophecy” - Revelation 1:3 KJV “But he said, Yea rather, blessed are they that hear the word of God, and keep it.” - Luke 11:28 KJV “Faith cometh by hearing and hearing by the word of God.” - Romans 10:17 KJV TESTIMONIALS ONE AMAZING APP by SoulWinner714 - Version 2.3 Scourby+King James Bible+Technology ONE AMAZING APP! Best audio Bible app out there. Love sharing favorite Bible verses by email, text, Twitter and Facebook. I use them all. Get a lot of nice comments back. This is the best invention since the Gutenberg Press. Good job. ............................................................ 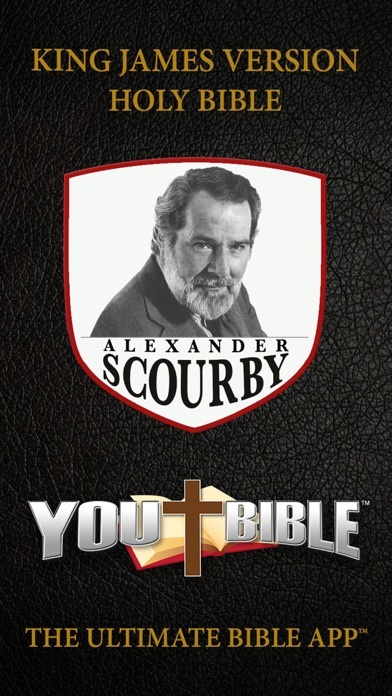 Wonderfully Marvelous App by Pray daily-Version 2.3 Alexander Scourby is the very best Bible narrator. 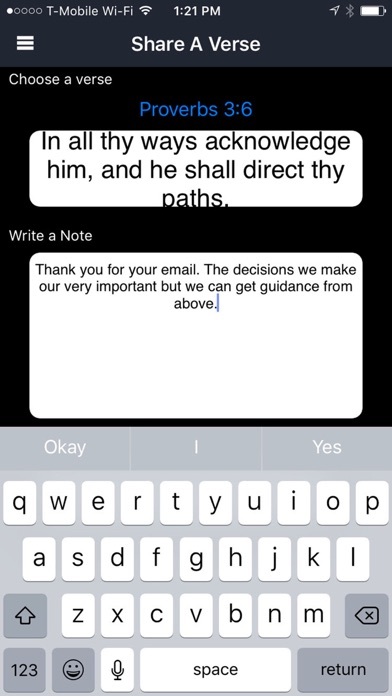 The app features are excellent great app for Church. It’s perfect for Bible Study. Thanks so much for a job well done. ............................................................ perfect by Alaska is home - Version 2.3- WOW! I have been waiting for a long time for this app. great while riding in car or anything, excellent features and reading options. Love the Mp3 Audio for my mp3 Player ............................................................ LOVE IT- by DaleH07-Version 2.3 YouBible app is the best, especially with Alexander Scourby narrating it. I LOVE IT!!! Perfect, KJV Bible is the best. Am studying Old Testament Now. Awesome! Download YouBible APP now and start accessing the Bible in a whole new way. God Bless you as you listen to His Word and we sincerely hope you enjoy "YouBible", "The Ultimate Bible App"
The other Bible Audio are terrific but Scourby stands out for his 'knowing' reading. Not showy just humbly dramatic. Facilitates comprehension. the app itself has handy options re looping and timer. I absolutely love Sir Alexander Scourby’s reading but this sounds like a copy of a copy recording. For $20, I should receive a quality, clean sounding recording of him reading the Word. And the volume of the recording is very low (I should have believed the other rating comments.) Not happy with this purchase. Love the app and the narration! This is definitely a full fledged bible app. Great content, versatility, and Alexander Scourby narrating! I’ve heard him for years and this is fantastic to have. One request I would make - please update the screen display to fill the screens on the newer iPhones (X, Xs, Xr, Xs Max). This app has a volume issue and navigating isn’t too convenient either. The volume so low on this app that I really can’t hear it when it’s synced to my truck unless I crank the volume all the way up. And then if I get a call or navigation speaks it blows out my ear drums. I’d emailed them about it and they said to look for an update but that’s never happened. I love Scourby’s voice but what good is it if I can’t hear him. The search option I wish they had is being able to scroll and click on a verse and start from there. As it is you must skip forward it back verse by verse or go to the search page and find the book, then the chapter, then the verse. It may not sound like much but I’d rather use the other apps that are easier to navigate and volume is better. 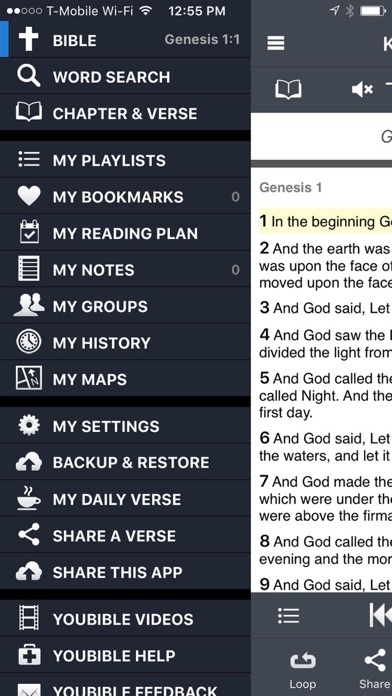 Downloaded Scourby Bible app. Upon listening, there seems to be a great amount of recorded background noice and double recording. I like the bible set up, but not all the recorded noises playing in the background of the narration. Oh my goodness this bible has blessed me beyond and above!!! I have had this app for several years, no other app compares! Love Alexander Scourby!! The app is easy to use, a wealth of resources that is sure to delight the Christian soul. Love the playlists!! Well worth the cost! I first heard Scourby read the Bible on the former radio station WNEW in New York City in 1948(!). Still one of the world’s great narrators.